The Pacific War Online Encyclopedia: Portal, Charles F.A. 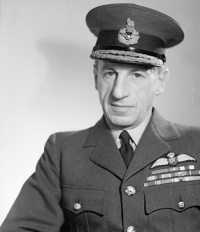 Portal was chief of staff of the Royal Air Force throughout the Pacific War. A graduate of Oxford who enlisted in the Army as a motorcyclist, he received his commission before qualifying as a flying officer. He flew over 900 reconnaissance, artillery spotting, and night bombing missions during the First World War. Portal led Bomber Command during the difficult first year of the Second World War, when his obsolete bombers were sitting ducks for enemy fighters and seemingly could not hit anything. However, they made an important contribution by bombarding Hitler's invasion ports. Given the top post in the Royal Air Force late in 1940, Portal switched to area bombing of industrial areas, a policy he had previously opposed on humanitarian grounds. Portal also resolved the "big wing" controversy in favor of its proponents, which proved costly when big wing operations over France shot down 114 German fighters at the cost of 426 RAF pilots. He opposed every attempt to reduce the RAF's status as an independent service, refusing to allow Coastal Command to come directly under the Admiralty and scuttling Brooke's recommendation to create a separate air force dedicated to tactical air support. Described by one subordinate as "fantastically ugly," Portal was a tall man with an enormous beak of a nose, but he was also blessed with uncommon intelligence and a calm demeanor. He was politically adept and a workaholic, exacting in his requirements and aloof.